I just started my internship at ImprovBoston and it has been a wonderful experience thus far. 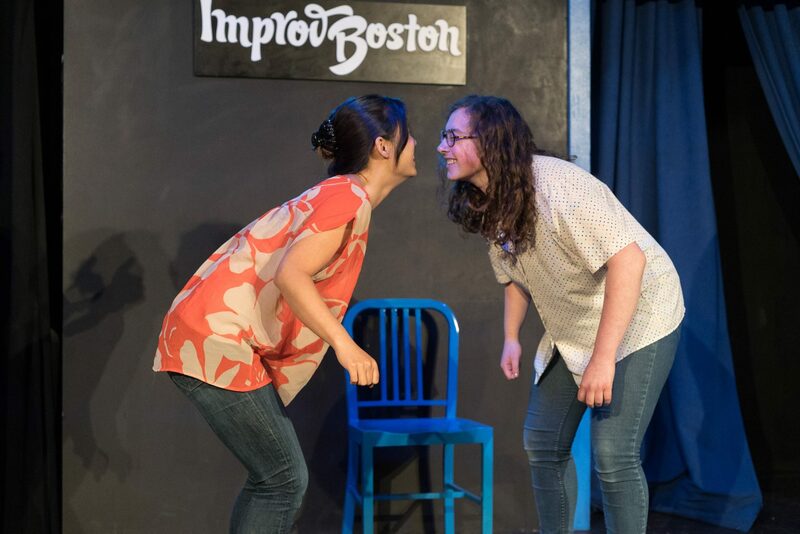 ImprovBoston is a nonprofit located in Cambridge, MA whose mission is to serve the community through laughter. With a regular performance selection of New England’s premiere improv, sketch, and standup and an acclaimed comedy training program, the theater dedicates itself to inspiring, developing and sharing comedy in all its forms. Through exploring the many important applications of the creative process, ImprovBoston seeks to improve the lives of diverse audiences both onstage and off. To accomplish this goal, ImprovBoston offers classes in sketch, standup, and improv as well as workshops addressing workplace success and anti-bullying. My title is “Comedy School Intern,” and, as the Comedy School intern, I will communicate with current and incoming students; assist with the registration of classes and Comedy Clinics; build and maintain logistical paperwork; schedule make-up classes; and manage the distribution of performance records of the student showcases. In addition, I will assist my supervisor in new Comedy School initiatives such as assistant teaching, taking classes in the curriculum, and a new project called “S.H.E” (Sisterhood. Humor. Empowerment.) to support women in comedy. In fulfilling these responsibilities, I will learn about the importance of arts education, and the connection between social justice work and comedy. My academic goal for the summer is to connect my learning from WGS to comedy and arts education. My supervisor started S.H.E. at Second City in Chicago, and is now hoping to launch the program at ImprovBoston. I will be conducting outreach to introduce people to improv comedy as a way of promoting mindfulness and confidence building. In this way, I will be achieving my goal of connecting feminist theory to real-world applications. My career goal is to figure out if I would like to teach comedy after graduating. 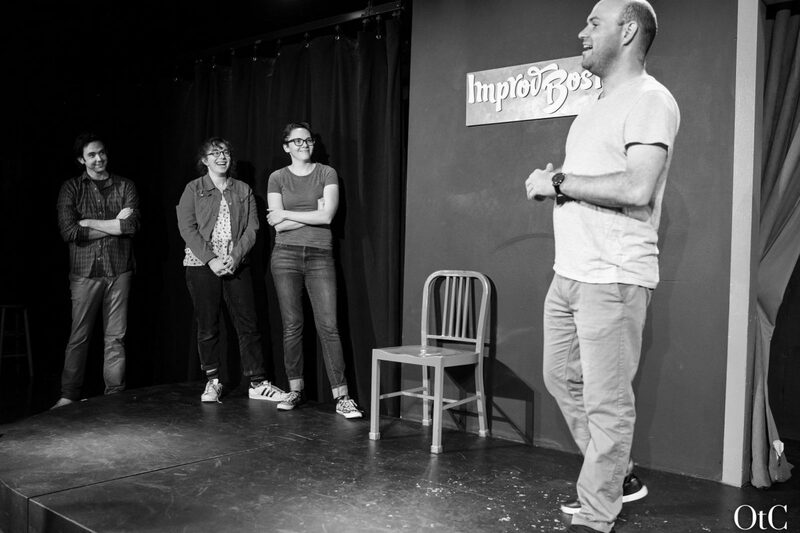 I currently perform at ImprovBoston and love that, so I want to see if I also enjoy teaching people how to perform. By shadowing teachers at the Comedy School and doing administrative work for the Comedy School I will learn about comedic education, working with aspiring comedians, and the Comedy School’s initiatives to support all students especially women and persons of color. The Comedy School internship is a perfect fit for me because it focuses on teaching students to find their voices and gain confidence. I want to make connections with comics in the Boston community. 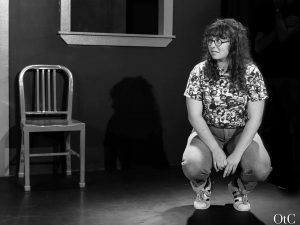 I am a current cast member at ImprovBoston and despite this I still do not always feel confident or like an important member of the community. Success in comedy is all about confidence and networking. By taking on a bigger role in the comedy community I will be connected to comics who are working on projects which I may have the opportunity to join. Ideally, I will become much more confident and consequently a more respected member of the Boston comedy community. Previous Previous post: The Parsnip Ship and busy, busy New York!